June 10, 2010 by Ken Ward Jr. I never thought I’d live to see the day we elected a black president. That happened. I never thought I’d live to see the day when Robert C. Byrd was saying the things he’s saying about coal, global warming and West Virginia having to either embrace change or get left behind. Maybe we’ll go two for two in my lifetime? I am so proud to have someone in office that is never afraid to stand up for the truth! Others need to get the coal dust out of their eyes so the can see more clearly – age hasn’t even dimmed Byrd’s vision. Monty and Wilma Lee — Amen! Last month a I heard a great talk by a Harvard professor at the University of Charleston about how the humanities can bring a crucial dimension of intelligence and wisdom to our public life. 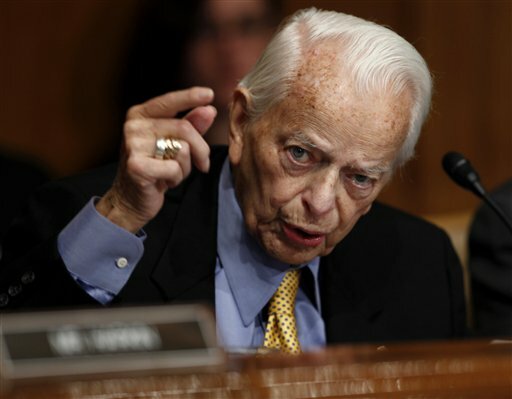 The speaker cited Senator Byrd as a prime example. Byrd, of course, is an amateur historian of some note (and also he was for many years one heck of a fiddler — probably still pretty good). He understands how great empires like Rome failed to keep up with the times — and perished. Like Monty and Wilma Lee, I am proud of him today. “Think of the Chinese coal industry the same way you would about Massey Energy, an interest group that has strong backing in the political establishment. There are other factors at play, too- coal is mined in the more remote interior regions, where jobs are scarcer. The main coal region is important to the CCP genealogy, since it’s near the cradle of the communist movement of the 30’s and 40’s. It’s not a very efficient industry, but it employs a lot of people, and jobs are a sensitive issue right now. Countering this are NGO’s in China similar to our own, as well as the disastrous recent weather- drought in northern China, and flooding and typhoons in the south. “China can actually move much faster than the US if circumstances so indicate.” etc., etc. The Massey comparison is interesting, no? The US Constitution is Dead! Unelected breaucrats making and enforcing laws which will cost Americans millions dollars through higher energy bills, not to mention the thouands of energy related jobs right here in WV. This is not just about coal. Just wait and see what happens to your electric bill, gasoline prices, natural gas prices and the price of new autos. We’ve rejected one career politician in the recent primary and a few more need to go. Thanks you, Jay Rockefeller, this is the first vote you’ve made in a loooong time that I support. Remember – Earth First – We’ll mine the other planets later!! Senator Byrd has courage; too bad Senator Rockefeller doesn’t. Massey must be thrilled that the other environmental disaster has taken the spot light off of UBB. Dennis, if every pollutant and drug needs an act of Congress to be identified and regulated as such, Congress will have no time to do anything else. The EPA is doing their job, as part of the Executive Branch of government, in enforcing the laws passed by Congress. You’re proposing to kill the Constitution by taking away their constitutional authority. The coal industry is gnashing its teeth because now the EPA is enforcing the laws, and outlaws don’t like the law enforced. For years while working for an Ohio Newspaper, I was assinged to cover coal mineing on the S.East section of Ohio. I cried while photographing many of these sites with the tops clear to get to the coal. What is happening to your mountain tops is to horrible to look at. This is Gods Earth, he loan it to us, not to tear it up like this. These kind of battles are hard to fight, but fight you must. My God I want my Great Grand son to walk these hills of beauty.